The health of the commercial motor insurance market can be strongly linked to the health of the UK economy. As such, those working in commercial motor insurance are dealing with the current uncertainty affecting businesses which purchase this class of insurance. Wrapped up in this challenge is the exposure this corner of the market faces from claims losses and fraud. We’ve all heard the phrase “no car is as fast as a rental car”. 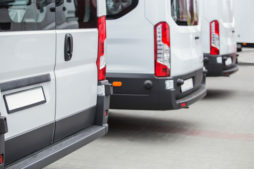 Until telematics emerged in fleets as a means to support operational efficiencies, as well as worker health and safety, the same could be said of many vehicles used for business. However fleet telematics has not by and large brought a new way of underwriting risk: most commercial motor insurance, particularly in the SME market, continues to be written in the traditional way using predictive data on the business and the individual until device costs align. Given this line of business has historically been exposed to high claims costs, mirroring to a degree, some of the market’s experience in personal motor, it would make sense to apply some of the same principles of data enrichment used in the personal lines quoting processes to commercial motor underwriting, particularly within the SME space. More specifically, the use of contributory data on past claims and past policies at point of quote has big potential for a more holistic view of risk. This would help support pricing accuracy and deliver a more streamlined customer journey. Encouragingly we found that 84% of commercial motor insurance providers consider data enrichment valuable to their business. More than three in five take a favourable view of the concept of contributory databases and two thirds believe these have, or will have, a prominent role to play in their business. Perhaps not surprising given they have deeper pockets and bigger resources, larger insurance firms are more likely to utilise data enrichment technology already. The survey revealed that this group is the most positive towards to the idea as a whole. 86% of respondents working for large commercial motor insurance providers think data enrichment is – or could be valuable – to their business, compared to 82% of the respondents who work for smaller providers. Large commercial insurance providers are also the most likely to have a favourable view of centralised, contributory databases. 71% of respondents working for larger providers have a positive view, compared to 54% of those employed by smaller insurance brokers or insurers. However, there is also evidence that enthusiasm for the contributory database concept is increasing among smaller providers: 69% agree that contributory databases have had, or will have, a prominent role in their businesses compared with 64% for larger firms. But what really stood out for us in the survey was that almost eight out of ten of all the commercial motor insurance providers we spoke to said they would be likely to contribute to a past policy contributory database. Insurance providers are also willing to use this type of data to enable prefill in commercial motor insurance application processes. More than 65% of providers agree that contributory databases for both claims and past policy data would be extremely or very helpful in enabling prefill within the application process. The perceived value of this type of data is much higher among providers already using it, suggesting that providers using this type of data tend to discover that it delivers more value to the business than they anticipated. Interestingly, the commercial motor insurance providers involved in the study see pre-filling half the answers in an application as being just as valuable as prefilling 85% of answers. This echoes findings from previous LexisNexis Risk Solutions research among personal lines insurance providers, and suggests that insurance providers across the board now appreciate the vast benefits that use of prefill could offer them and their customers. Prefill can accelerate the application process, improving the accuracy and clarity of information provided during application. However, it is important that the customer feels in control and comfortable with the level of data pre-filled, as well as receiving a fast and convenient service. As data enrichment-enabled prefill becomes more widespread, it will be interesting to discover the ideal proportion of pre-filled application answers for different insurance products. With such a high proportion of commercial motor insurance providers recognising the existing or potential value of data enrichment and contributory databases, it is clear that those who have yet to enter the field could be missing a huge benefit for their customers and their bottom line. For more insights from these research results download the LexisNexis Risk Solutions commercial insurance white paper ‘Digging Deeper: Using Business Data and Company Director Data to Inform Insurance Risk Management’.